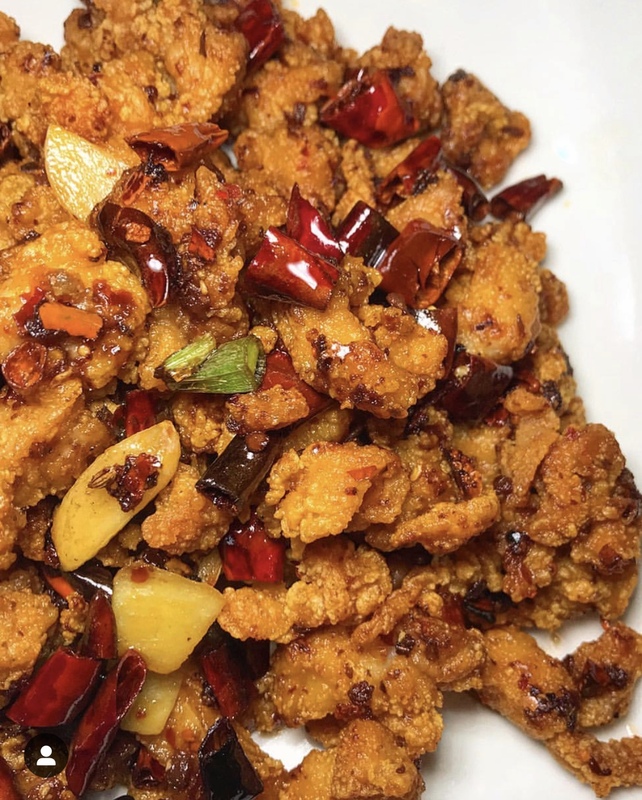 At Spicy Home Tasty, guests can enjoy the true traditional style of Sichuan cooking. 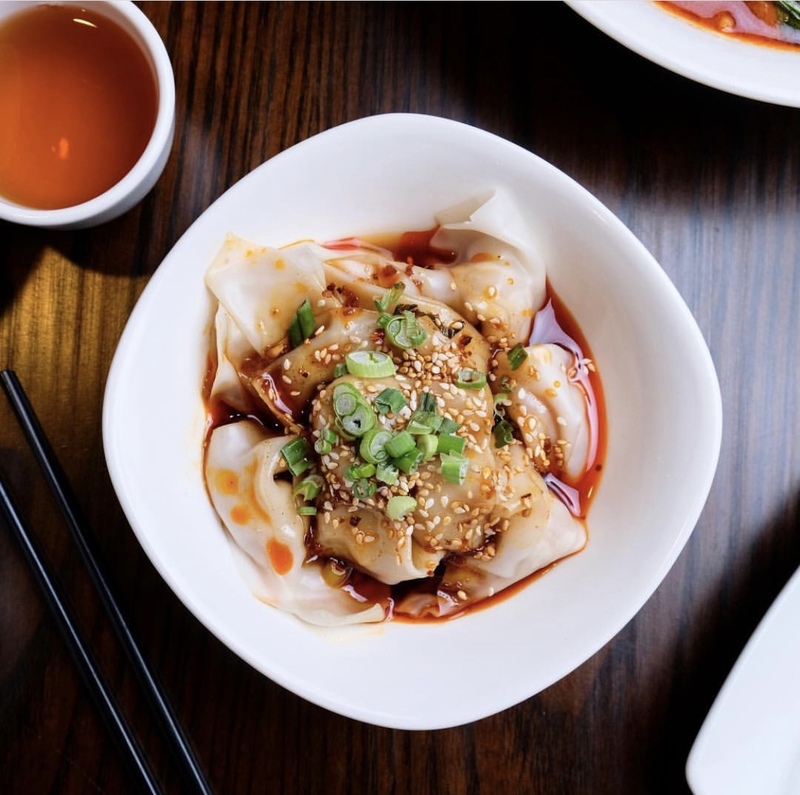 The menu begins with cold and hot appetizers ranging from a fan favorite like their wontons in chili oil (hand made right in-house) to their dan dan noodles with minced pork, mixed and served table side. We suggest trying one of their dry pots also known as GānGuō, which typically comes served with your choice of protein, potatoes, veggies and all the spices you can think of over a hot flame. 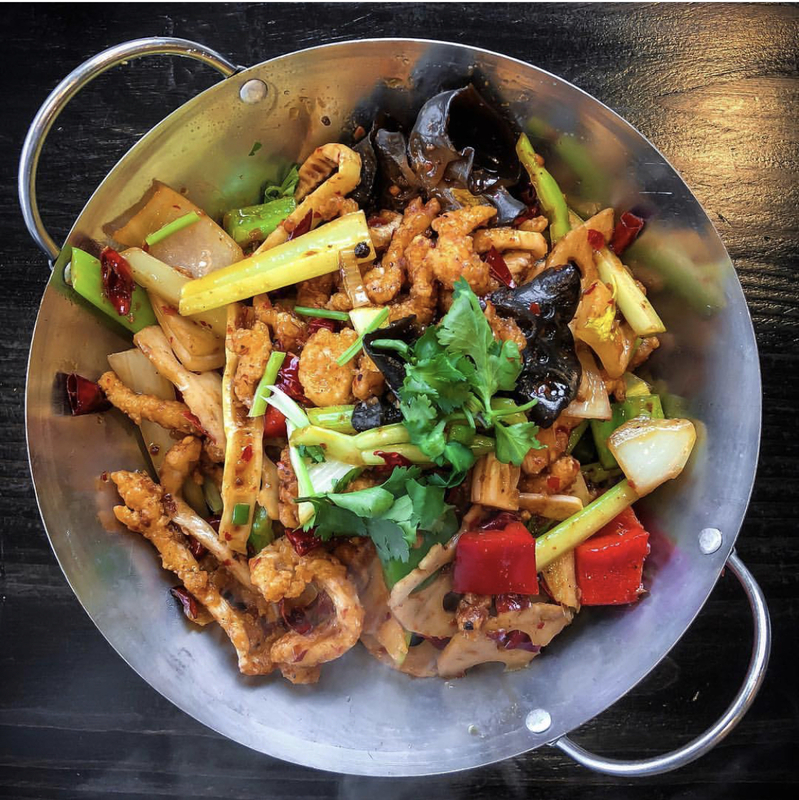 Perfect for sharing, dry pots are known for their bold flavors and are packed with spicy, tingling tastes that keep you coming back for more. Spicy Home Tasty also offers a selection of authentic noodles from their house spicy noodles to more traditional crystal noodles (cellophane noodles) with pork intestine. Other standouts are their tea smoked duck, dry pepper chicken, orange beef and crispy fish in sweet and sour sauce. Be sure to reserve a table on the weekends. The space is casual with just about fifteen tables, but the decor is somewhat modern with touches of muted gray color schemes, upholstered banquet seating, and crystal accents. Takeout is also available, but be sure to call ahead of time during the busy weekend dinner hours.